Built on the principles of quality and community. We incorporate traditional American/Sicilian pizza making techniques with modern flavor profiles to produce a unique style of pizza that is all our own. All our dough is made in-house, fermented for at least 48 hours, and baked at 550o in a flat top gas deck oven. Yes, that's right! 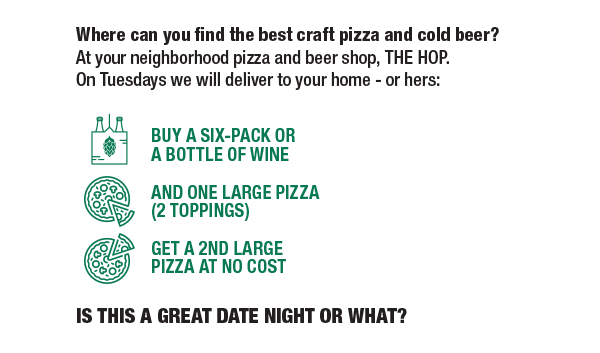 The Hop will carry over 300 beers and all are available for delivery. 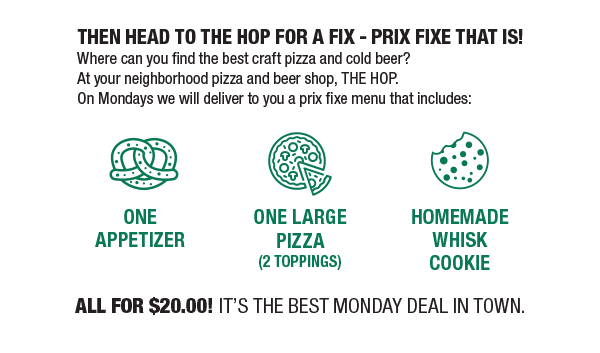 $2 off any pizza with purchase of 6 pack.